We provide targeted global consultancy services to evaluate and redefine operational planning processes across business environments to align process and system outcomes with business objectives. Our extensive Operational Planning domain experience and expertise, coupled with our collaborative approach to identifying organisational and process driven opportunities for improvement, enables delivery of value based solutions against clearly defined business requirements. The methodologies and concepts we apply have already enhanced the planning functions at a number of clients, including major Commercial Airlines, Mission Critical Services, Oil and Gas and Information Technology companies in the Supply Chain / Logistics Management domains. Point2 Solutions was formed in March 2011 to provide targeted consultancy services designed to deliver value based solutions against clearly defined business requirements. We specialise in the areas of Supply Chain and Logistics Management and Operational Business Process Design with a specific focus on Operational Planning Capability and have applied robust and proven principles across a range of industries from Oil and Gas to Emergency Service Providers to Commercial Airlines. In addition we also have expertise in the audit, evaluation, design and scoping of Operational IT Systems, the negotiation of work rules and labour agreements and business benefits evaluation with regard to organisational structure and business processes. We also provide guidance on fatigue risk management and the prevention of alcohol, drugs and medicine abuse by safety sensitive staff. We are confident that we can structure solutions for a magnitude of operational challenges and issues across a broad specturm of operational planning and forecasting scenarios. We have a proven track record across a number of diverse industries and we are always happy to come and chat with potential clients about identifying opportunites for improvement within their business. A strategic thinker with a track record of challenging and adapting traditional methodology, Fraser has worked across a range of supply chain and logistics models and has subsequently applied the business knowledge and expertise gained to lead the development of software and business process solutions focused on Industry Best Practice to reduce operational costs and enable growth. Fraser has extensive domain experience in airline operations with specific focus on crew planning business processes and system development and integration. 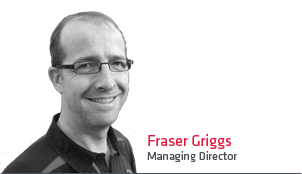 Fraser has since applied that knowledge and experience to Supply Chain Management in the Oil and Gas Industry. With his collaborative approach to change, Fraser looks to tackle operational business problems with a combination of proven solutions and innovative thinking. Previously, Fraser was a Commissioned Officer in both the Royal Air Force in the UK and the Royal Australian Air Force before moving into commercial aviation with Ansett Australia and Virgin Blue Airlines. Fraser was a UK Civil Aviation Authority Postholder whilst holding a senior management position at easyJet Airlines and became Director of Manpower Planning and Principal Consultant at IBS Software Services. Fraser became Managing Director at Point2 Solutions in April 2011. 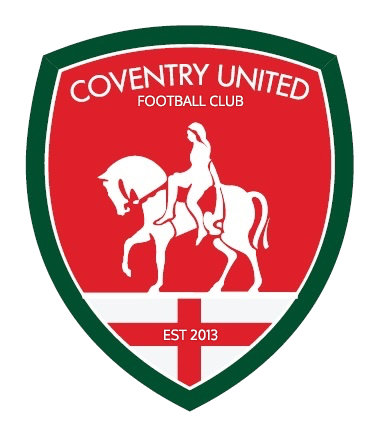 Fraser is also a non-executive director at Coventry United Group in the UK. A persuasive, diplomatic and proactive individual with more than 24 years of solid experience. 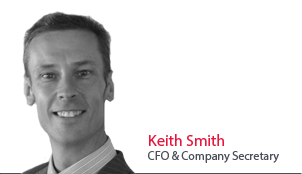 Keith has held senior positions in large and small commercial organisations, working at bases in three continents. This has resulted in Keith having a global perspective, but being able to deliver local change. Keith has a consistent record of achievement in business improvement, team development and IS systems implementation. Keith has held senior finance and business leadership roles in organisations operating in diverse industry types, from insurance to manufacturing, from refrigeration to mining services. With the breadth of experience gained Keith has a portfolio of skills relevant to almost any industry. From working at a senior level in organisations across the globe Keith has become well versed in executive presentations and development of strong strategic plans. These plans, once approved, have then been consistently delivered through the organisations. Keith has operated in growing organisations leading M&A activities as well as being involved in opening up green field sites. He believes that the back office should place a light financial burden on an organisation, and in these growing companies held the support costs static. On the other side Keith has delivered leadership in re-organising companies to get cost out. At Coventry Group (ASX:CYG) he successfully developed the plan and then took a significant leadership role in the re-organisation of the Group delivering $11m of cost reductions annually. Recently he has helped Mareterram (ASX:MTM) purchase two private companies, negotiate $17m of bank facilities, raise $24m in equity and relist the head organisation back on the ASX. Leo Trap is an extremely knowledgeable Subject Matter Expert (SME) on Manpower Planning, Flight Time Limitations and the integration of both in company processes. Leo has over 30 years of experience in the airline business most of which was spent in the crew planning and operational environment. 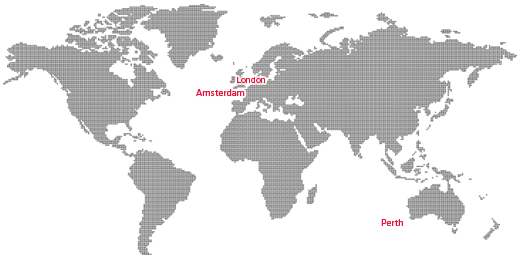 His last position was as Manager, Manpower Planning and Flight Time Limitations at Martinair in Holland. Reporting to senior management Leo was, and continues to be, a prominent member of high level National and European Union committees. In addition he has negotiated and developed crew rules, labour agreements and numerous vacation planning processes. Leo has had key involvement as a station and project manager within lease-in and lease-out operations for airlines such as Virgin Atlantic, Garuda Indonesia, BMI, Antillean Airlines and Qantas. This extensive background has given him a broad view on the Manpower Planning complexities associated with not only the standard airline operation but also the continual assessment and adjustment required against the constant state of change. 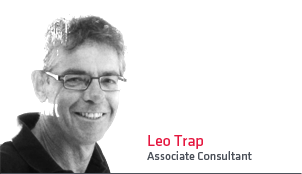 In addition to his Manpower Planning expertise, Leo has been involved in Union negotiations, Occupational Risk Assessment Schemes, Prevention of Alcohol, Drugs and Medicine abuse by Crew and the formulation of EU Cabin Crew regulations. 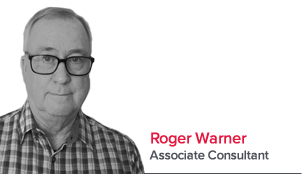 Roger has spent many years in Crew Scheduling and is well respected in the industry as a consultant with excellent knowledge of crewing systems and their implementation. During 30 years at British Airways he was involved with the introduction of new state of the art crew systems working very closely with the suppliers during the requirement specification stage through implementation to “Go-Live”. This to ensure accurate capturing of all Flight Time Limitations and processes both Industrial and Regulatory. He headed up the training team responsible for the standard of the Regulatory rules training. He also represented the company on the monthly meeting with the Trade Union (BALPA) to adjudicate on any possible rule breaches and deal with any complaints from crew. After taking early retirement from BA he moved to the supplier side and joined IBS where he was involved in successful major system implementations at British Airways, KLM, Jet Airways and Oman Air. Roger is considered a Subject Matter Expert (SME) in Pairing, Roster construction and Tracking and so is ideally placed to conduct system reviews or assist with selection of potential new suppliers if required. Air Pacific engaged Fraser Griggs and Point2 Solutions to provide an independent assessment of our crew productivity and the efficiency of our crew rosters. Fraser conducted a thorough review of our crew planning and deployment areas and was able to quickly highlight areas for improvement in addition to setting out a range of comprehensive initiatives for Air Pacific to implement to achieve desirable outcomes for both the airline and its crew. Based on the knowledge and experience of Point2 Solutions in the Resource Planning domain, Air Pacific subsequently decided to effectively ‘outsource’ it’s medium and long term crew planning to Point2 Solutions for the remainder of the Financial Year. That enabled Air Pacific to implement the shorter term crew roster efficiency measures identified by Fraser. Point2 Solutions then designed and implemented a robust Resource Planning methodology and process for Air Pacific to adopt for our future crew planning requirements and enable the smooth introduction of a new fleet type from a crew transition perspective. I would highly recommend Fraser and Point2 Solutions to any organisation looking to quickly and effectively identify areas for improvement in its operational resource planning and deployment areas. I’ve worked with Fraser on a number of projects where the requirements were often limited to a poorly defined ‘need to be more efficient’ or ‘save money’. Fraser has an ability to look at the issue in hand and approach it from a number of angles to determine which solution is most likely to offer the desired outcome. This process will often involve challenging the accepted norms where he feels it appropriate and the experience Fraser brings from his dealings with many airlines and solution providers ensures best practice is maintained. If the requirements are unclear Fraser is able to take a business problem and present a tangible solution with clearly stated and evidence based benefits that can then be implemented. If the benefits are marginal then Fraser is equally comfortable in stating no change is necessary. A good team player and leader who is able to interact comfortably and confidently at any level. Fraser had the expertise and worldwide experience necessary to immediately assess the current crew planning, scheduling and rostering processes at Air Pacific and generate meaningful recommendations to improve productivity, enhance efficiency and provide for adequate reserve coverage. He is highly professional and effective working with all levels of the organization and with various union groups. I would highly recommend Fraser to any organization interested in improving planning, rostering and logistics related work within their organization. Point2Solutions (Fraser Griggs) were engaged to undertake an assessment to assist in the identification and definition of operational planning & forecasting processes within our Logistics organisation. Following the establishment of ‘as-is’, assessment then went on to identify opportunities for improvement. Using Fraser’s extensive airline industry experience he was able to extrapolate to fuel and supply base teams and identify specific areas that required addressing with relevant supporting examples. The final assessment deliverable documents will be used in furthering the integrated, cross functional planning & forecasting. One of the most insightful books we have read in recent years is Black Box Thinking, by Matthew Syed. We strongly recommend this book to anyone with an interest in Aviation safety, Medical practices and evolution/development within an entrepreneurial environment. It is certainly a diverse mix of topics but they are woven together by Matthew in a logical way that highlights that the evolution and development of practices, procedures, systems and products is by no means linear. A fascinating look at how ‘trial and error’, ‘if at first you don’t succeed’, ‘learn from your mistakes’ ‘don’t be afraid to fail’ all play out in todays world. We think the insight from this book is relevant to teenagers, parents, consultants and businesses across the board! Please click on the book to see more detail and purchase a book you’ll not regret buying and reading. I can almost guarantee you will want to pass it on to everyone you know within minutes of finishing it, if not while you are actually reading it!